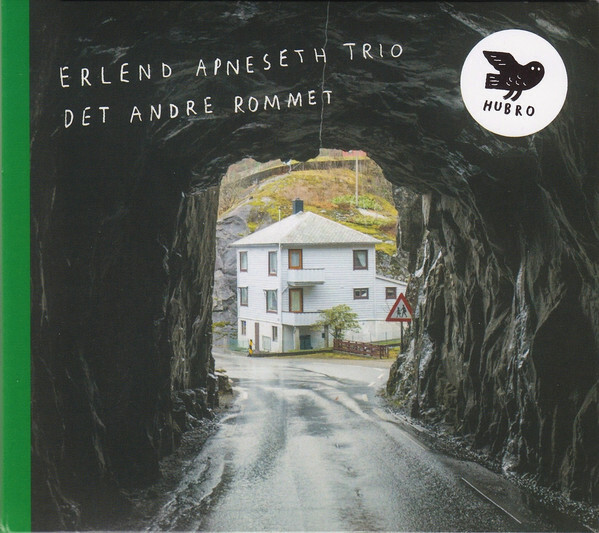 ERLEND APNESETH TRIO-DET ANDRE ROMMET. Practise makes perfect. So the old proverb says. Erlend Apneseth is proof of this. He’s one of Norway’s top young fiddlers, and is already competing at the highest level. That has been the case for some time. Erlend Apneseth competes at the elite level in Norway’s National Contest For Traditional Music. Over the last few years, Erlend Apneseth has won numerous awards and prizes. This includes Grappa’s New Artist Award in 2012. Buoyed by winning such a prestigious award, Erlend Apneseth began work on his debut album. A year later in 2013, and Erlend Apneseth was about to release his debut album Blikkspor. It had been recorded with the help of a few friends. When Blikkspor was released, it was to overwhelming critical acclaim. Blikkspor was an album of groundbreaking and genre-melting music, that announced the arrival of an an ambitious and innovative musician. It was also a tantalising foretaste of what Erlend Apneseth was capable of. Critics awaited his sophomore with interest. They’ve had to be patient. Since then, Erlend Apneseth has been busy. He’s collaborated with musicians from a variety of different backgrounds, including folk, improv, jazz and rock. Groups big and small have also been joined by the Jølster born fiddler. So have folk singer Torgeir Vassvik and poet Erlend O. Nødtvedt. Erlend Apneseth has even enjoyed a spell as a soloist with the Bergen Philharmonic Orchestra. However, eventually, he decided it was time to release his sophomore album. 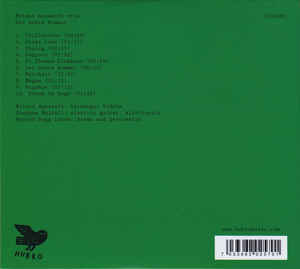 While Blikkspor was credited to Erlend Apneseth, the followup is credited to the Erlend Apneseth Trio. This came about after drummer Øyvind Hegg-Lunde and guitarist Stephan Meidell featured on Sommarflukt, the final track on Blikkspor. Erlend Apneseth hit it off with the two musicians, and asked them if they wanted to join him in a trio? They agreed, and the Erlend Apneseth Trio was born. Their first album Det Andre Rommet, will be released Hubro Music on the 1st of July 2016. However, Det Andre Rommet was recorded back in March 2015. For Det Andre Rommet, a total of ten tracks were written. Erlend Apneseth wrote Trollsuiten, Dialog, Sapporo, St Thomas-klokkene, Hugskot and Draum Om Regn. The other four tracks, Under Isen, Det Andre Rommet, Nattkatt and Magma. St Thomas-klokkene, were written by the Erlend Apneseth Trio. These tracks were recorded over four days in March 2015 by the Erlend Apneseth Trio. The recording sessions began on 9th March 2015 at Hallibakken Lydproduksjon. By then, the Erlend Apneseth Trio had been playing together for the best part of two years. However, drummer Øyvind Hegg-Lunde and guitarist Stephan Meidell had been collaborating for a lot longer. Over the years, they had been members of the same bands. Øyvind Hegg-Lunde had been a member of Building Instrument, Crab Is Crap, Electric Eye, Glow, Klangkameratane, Strings and Timpani and The Sweetest Thrill. Øyvind Hegg-Lunde had been a member of Cakewalk, Mr. Eart, Strings and Timpani, The Sweetest Thrill, Vanilla Riot and Velkro. The pair had formed a good working relationship, and would play an important part in the Erlend Apneseth Trio. When the sessions began, drummer Øyvind Hegg-Lunde, guitarist Stephan Meidell and Erlend Apneseth on Hardanger Fiddle were joined by recordist Tor Magne Hallibakken. Over the four days, the Erlend Apneseth Trio’s music began to evolve. It was quite different from the music on Erlend Apneseth’s 2013 debut album Blikkspor. Elements of folk, improv, jazz and rock combine on the ten songs and sketches that became Det Andre Rommet. What was a captivating debut album from the Erlend Apneseth Trio took shape. Over the next four days, they recorded the ten tracks that became Det Andre Rommet. They were completed by 12th March 2015. All that was left was mixing and mastering. The mixing of Det Andre Rommet took place at Avast, Seattle, during September and October 2015 by Randall Dunn. Det Andre Rommet was then astered by Jørgen Træen at Lydgrotten in Bergen during December 2015. Now Det Andre Rommet was almost ready for release. Det Andre Rommet will be released by Hubro Music on the 1st of July 2016. It’s the debut album from the Erlend Apneseth Trio, and finds three of Norway’s top musicians innovating, pushing musical boundaries and combining disparate musical genres. It’s a captivating musical journey across ten tracks lasting forty minutes. These tracks became Det Andre Rommet. Practise makes perfect. So the old proverb says. However, Erlend Apneseth is proof of this. He’s one of Norway’s top young fiddlers, and is already competing at the highest level. Elements of folk, improv, jazz and rock combine on the ten songs and sketches that became Det Andre Rommet. What was a captivating debut album from the Erlend Apneseth Trio took shape. Over the next four days, they recorded the ten tracks that became Det Andre Rommet. They were completed by 12th March 2015. All that was left was mixing and mastering. Opening Det Andre Rommet is Trollsuiten. It’s the perfect showcase for Erlend Apneseth. A flourish of his fiddle, sets the ball rolling. Soon, he plays briskly and with confidence and flamboyance. Other times, he drops the tempo, and his folk-tinged sound is a mixture of melancholy and emotion. Then almost seamlessly, the arrangement heads in the direction of improv. By then, the guitar drones and wails, adding to what’s an evocative and wistful sound. Soon, though the fiddle slips almost joyously across the arrangement, as Erlend revisits hits folk roots. Latterly, he revisits the earlier improv sound on what’s a captivating genre-hopping track. What sounds like alarm clocks ring out urgently on Under Isen. Almost randomly, the occasional rattle and bump punctuates the arrangement. So does an occasional drum roll. Soon, Erlend’s fiddle quivers and shimmers in the background. Meanwhile, he toys with his fiddle as a series of pulsating sounds flit in and out. By now, an alternative improvised symphony is unfolding and washes over the listener. Pizzicato describes the technique used by Erlend on Dialog. As he plucks the strings of his fiddle, it reverberates, and takes on an Eastern influence. Its beauty is mesmeric, as and repeatedly it washes over the listener and in the process, soothes their weary soul. Cymbals shimmer and rinse s on Sapparo. Meanwhile, Erland plays his fiddle slowly and almost deliberately. It portrays a sense of sadness and yearning. Behind him, cymbals shimmer, drums pound and the guitar plays. They’re playing supporting roles, as Erlend’s fiddle takes centre-stage. Later, they’re allowed their moment in the spotlight. Stephan Meidell plays his guitar carefully and deliberately. Then when the baton passes to drummer Øyvind Hegg-Lunde, he improvises while ethereal, elegiac sounds rejoice in the background. They’re joined by plaintive cry of the fiddle. This adds the finishing touch to a track where folk and improv combine to create a track that’s a mixture of sadness, melancholia, drama and ethereal beauty. Although Erland wrote St Thomas-Klokkene, it features an archive recording of Sigurd Eldegard. A wash of fiddle swells, as cymbals rinse and a guitar threatens to feedback. Soon, the fiddle soars above the vortex of sound. Contrasts abound, as the arrangement drones. Still the fiddle shimmers, shivers and quivers, while drums threaten to interject. By then, Erland is delivering one of his finest performances, showing why he’s one of Norway’s finest fiddlers. He uses folk as the starting point, but adds elements of avant-garde and improv. The result is a truly compelling track that’s cinematic and melodic, but full of melancholia, mystery and drama. Almost hesitantly, the strings of the fiddle are plucked tenderly on Det Andre Rommet. Meanwhile, percussion is sprinkled subtly atop the arrangement. Gradually, there’s a sense of urgency, as the fiddle emerges from the arrangement, taking centre-stage. It produces a heart-wrenching sound, as folk, avant-garde and improv combine. By then, the plaintive cry of the fiddle adds an evocative sound, drums adds a thunderous backdrop as an array of alternative percussion is added. Again, sleight of hand is used, and nothing is as it seems. Instruments are transformed and take on a new sound. As a result, the arrangement takes on an urgent, frenzied and dramatic sound. Later, this begins to dissipate and returns to a much more understated sound. Then all of sudden, Det Andre Rommet reaches a crescendo, leaving just the memory of the Erlend Apneseth Trio at their most ambitious and innovative. It’s as if the Erlend Apneseth Trio are toying and teasing the listener on Nattkatt. They play almost hesitantly, but all the time, hint at something magical. Gradually, though, the arrangement reveals its secrets. Soon, the Erlend Apneseth Trio have been transformed into a man machine. They combine avant-garde, free jazz and musique concrète to create a robotic, jerky and moderne arrangement. Then as a wailing, free jazz sound soars above the arrangement, it’s as if the ghost of Albert Ayler is making a guest appearance. Later, the arrangement becomes spartan and robotic, with beeps and squeaks punctuating the arrangement. By then, the n Nattkatt has revealed its secrets, magic and majesty on another groundbreaking track. There’s an almost eerie, cinematic sound as Magma unfolds. Soon, the drama builds and swells, and it’s as if the Erlend Apneseth Trio are creating the soundtrack to a Nordic thriller. Bells chime, and are sprinkled atop the pounding drums. Meanwhile, the fiddle scampers across this cinematic soundscape as the drama builds. Adding to the drama are the drums and then the guitar. It adds an element of darkness; before blood curdling strings add the finishing touch to this cinematic soundscape. Hugskot finds Erlend return to his folk roots. However, anything could happen, and the Erlend Apneseth Trio could throw a curveball at any given moment. While Erlend is content to play it straight, gradually, a myriad of percussion and cymbals punctuate the arrangement. Later, so briefly does a guitar. They’re merely playing a supporting role, while Erlend takes centre-stage as he returns to his roots. Draum Og Regn closes Det Andre Rommet, where beauty and melancholy are omnipresent. Cymbals shimmer, while drums roll and percussion punctuates the arrangement. Meanwhile, the plaintive cry of the fiddle tugs at one’s heartstrings. While it showcases a traditional folk sound, the rest of the arrangement is a mixture of avant-garde and improv. Bubbling and pizzicato strings are joined by percussion and bells, and with Erlend’s fiddle, create a beautiful, wistful sounding track. It’s a quite beautiful way to close Det Andre Rommet. It’s the debut album from the Erlend Apneseth Trio. They first played together on a track on Erlend Apneseth’s debut album Blikkspor. The three musicians hit it off, and a new band was born in early 2013. Since then, they’ve been playing together, and gradually honing their sound. By March 2015, the Erlend Apneseth Trio were ready to record their debut album, Det Andre Rommet. It was recorded over four days in March 2015, at Hallibakken Lydproduksjon, Producing Det Andre Rommet were Andreas R Meland and the Erlend Apneseth Trio. The result was an ambitious album of innovative, genre-melting music. On many of the tracks on Det Andre Rommet, the Erlend Apneseth Trio use folk as a starting point. From there, they add elements of everything from avant-garde, improv, jazz, musique concrète and even rock. The result is music that veers between beautiful to cinematic, to dramatic and eerie. Other times, the music on Det Andre Rommet is elegiac, ethereal, elegiac, melancholy and melodic. Sometimes, the music is full of sadness and is heart-wrenching. Often, it’s Erllend’s fiddle that takes the listener on this emotional roller coaster, Always, though, the music on Det Andre Rommet has the capacity to captivate and spring surprises, as the Erlend Apneseth Trio take the listener in a new and unexpected direction. Every member of the Erlend Apneseth Trio plays their part in this musical magical mystery tour. Sometimes, though, it’s Erllend’s fiddle that takes the listener on this emotional roller coaster. It plays an important part in Det Andre Rommet, and in Erlend Apneseth’s hands, proves a versatile instrument. One minute, he’s playing the fiddle in the same way as countless generations before him; the next, Erlend Apneseth is rewriting the rules, and unleashing a Hendrix-esque performance. This isn’t surprising. Just like the rest of the Erlend Apneseth Trio, Erlend is a musical maverick. So it’s fitting that these three musical mavericks have found the perfect vehicle for their music in the Erlend Apneseth Trio. It allows them to innovate, and create groundbreaking music. This the Erlend Apneseth Trio do throughout their captivating, genre-melting debut album Det Andre Rommet, which will be released by Hubro Music on the 1st of July 2016. ← SPOOKY TOOTH-THE ISLAND RECORDS YEARS.